There are a number of rumors circulating touting various methods and services available that will supposedly provide a boost your Alexa web ranking. Having wondered if there was any validity to the claims, I thought I’d try a few basic tests of my own to see which methods outside of using a service could actually accomplish this task. Alexa’s Site Info displays a web site’s traffic rankings, reach, pageviews, pageviews per user, bounce%, search%, click stream and audience profiles. The metric that most are concerned with is the overall traffic ranking; the lower the number, the higher your traffic is supposed to be. Some webmasters have figured out that by loading the Alexa Toolbar and visiting a site daily, it can improve the ranking. Others refuse to install the toolbar as they consider it to be spyware. Some claim that by using Alexa’s Widgets that display your web site’s traffic rank or site stats, it can help to improve your traffic rank. Supposedly, click throughs on the widget are a contributing factor and are counted in a similar fashion to that of a visit with the Alexa toolbar installed. We decided to see if just loading the widget was sufficient or not, so on June 22, 2010, we added a widget on a new page on this site that was not linked to from anywhere to avoid any possible click throughs or visits from someone who might have the toolbar installed. We used IE8 and Chrome browsers exclusively for the first two phases since our Firefox browser has the Quirk SearchStatus add-on that provides Alexa Rankings, and I’m not sure that even with the Alexa ranking disabled it doesn’t somehow affect the rankings. The improvement noted was mostly to the 1 month statistics rather than the 3 month statistic. We did notice an increase in the frequency of updates to the traffic statistics since we began this test. 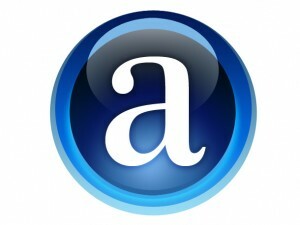 Our final test will be to use Firefox with the Quirk SearchStatus add-on with Alexa Rank enabled. So it would appear that by enabling the Alexa Ranking feature in the SearchStatus add-on one can singularly manipulate their Alexa traffic ranking statistics as I’ve suspected. You no longer need to have the Alexa Toolbar installed on a computer. Fuzzuck.com has a three-month global Alexa traffic rank of 568,756, and the site has a bounce rate of approximately 33% (i.e., 33% of visits consist of only one pageview). This site has been online for at least four years. Visitors to Fuzzuck.com view an average of 5.1 unique pages per day. We estimate that 66% of visitors to the site come from the US, where it has attained a traffic rank of 113,696. I’ve often wondered if there is any direct relationship between low Alexa ranking and having a large majority of visitors from a single country. I’ve noticed in webmaster circles that sites with fairly decent Alexa rankings have a large percentage of traffic from a single country even though many webmasters claim that they don’t have the Alexa toolbar installed. Keep in mind that the SearchStatus add-on is fairly popular. Is this simply an indication of toolbar/add-on use and typical traffic, or does it go deeper than that? I can look through our web stats and see that while our Alexa ranking has increased, the overall traffic shows no change, so I have my doubts. A number of sites tout their Alexa ranking when trying to sell ad space, so it might be a good idea to compare the traffic stats and the Alexa stats before you pay for any ads.